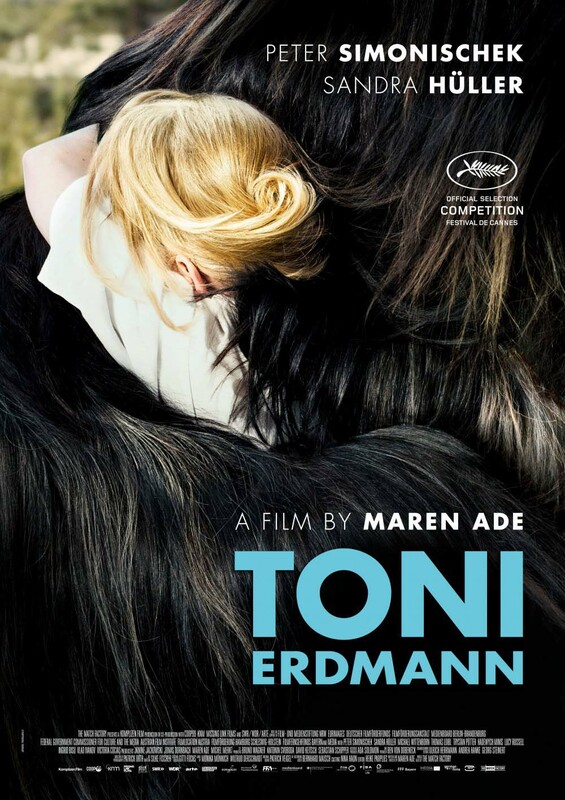 Film Review: "Toni Erdmann" (2016). Charles Ealy, of the Austin American-Statesman, calls it "Absolutely nuts!" This is certainly the case for Toni Erdmann. This German-Austrian comedy-drama film directed, written and co-produced by Maren Ade. Winfried doesn't see much of his working daughter Ines. He pays her a surprise visit in Bucharest, where she's busy as a corporate strategist. However, this doesn't help them to see more eye to eye. Ultimately, father and daughter reach an impasse, and Winfried agrees to go home to Germany. Enter Toni Erdmann: Winfried's flashy alter ego. Disguised in a tacky suit, weird wig and fake teeth, Toni barges into Ines' work circle, claiming to be her CEO's life coach. As Toni, Winfried doesn't hold back, and Ines meets the challenge. The harder they push, the closer they become. In all the madness, Ines begins to see that her eccentric father deserves a place in her life. The making of the film itself is as strange and enduring as its titular character. A few inspirations influence writer/director Maren Ade's script. According to Ade one inspiration for the film's tone and the title character's humour was that of the irritating humour of the late comedian Andy Kaufman. For the character himself, Ade took inspiration from real life in the form of her own father who, like Winfried, possessed a bizarre sense of humour, and actually liked to put in fake teeth to joke with people. In regards to the film, Ade does not view her film as a comedy because she told her producer she was making it "sad" and "super-serious". The actors expressed Ade's sentiments. For filming, Ade shot 120 hours of footage during the 56 days shoot. Ade would typically do between 20 to 30 takes of each shot. If it was a scene that required multiple coverage of each actor the number of takes would double to between 40 to 60 so that each actor would get the coverage they needed. Ade threw out two days of footage and re-shot it after she felt she wasn't getting what she needed. Ade then spent over a year editing the film. During the process she encountered various situations varying from considering a shorter cut of the film, which would compromise the film's pacing and themes, to giving birth to her second child in the middle of Post-Production. It stars Peter Simonischek, Sandra Hüller, Ingrid Bisu, Lucy Russell, Michael Wittenborn, Thomas Loibl and Trystan Pütter. The cast gave surprising performances, especially Simonischek and Hüller, who carried the film through its comically and outrageously loaded 162 running time. Toni Erdmann is a surprising comedy drama full of bizarre and poignant material. The two leads, Simonischek and Hüller, are solid, they succeed in holding the audience's interest throughout the film's 162 running time. However, some of the film's iffy plot points undercut what the film truely is and what it wants to say. But in the end, the film is perhaps the most direct and most relevant film in a while. "No Ban, No Wall": Protest Trump’s Racist Border Orders. Donald Trump has made executive orders to implement a 120-day ban on refugees, a 90-day ban on Muslim majority countries: Iran, Iraq, Syria, Yemen, Sudan, Libya and Somalia and an indefinite ban on all Syrian refugees. These bans are designed to terrorise millions in the U.S. and beyond. But Trump's racist assault is being met with inspiring protests which have erupted across the US, especially outside airports, to overturn the ban on Muslims and refugees and to release those detained. This protest made a statement that they are against Trump’s Muslim and refugee ban and they do not tolerate racism in any form. They cannot let prejudice and (21st century) fascism define their global future, and the future of the generations to come. Tuesday's protest did not just stand in solidarity with those targeted in the US. They spoke out against rampant Islamophobia in Aotearoa New Zealand and Australia. They joined together on Tuesday 7th February at 6:00pm at Aotea Square to make a statement that the people of Aotearoa are against Trump’s Muslim ban and racist immigration policies. They stood in solidarity with the people in the US who are resisting the Muslim and refugee ban and all those affected by Islamophobia worldwide. "Kevin has 23 distinct personalities. The 24th is about to be unleashed." This is Split. This psychological horror thriller written and directed by M. Night Shyamalan. 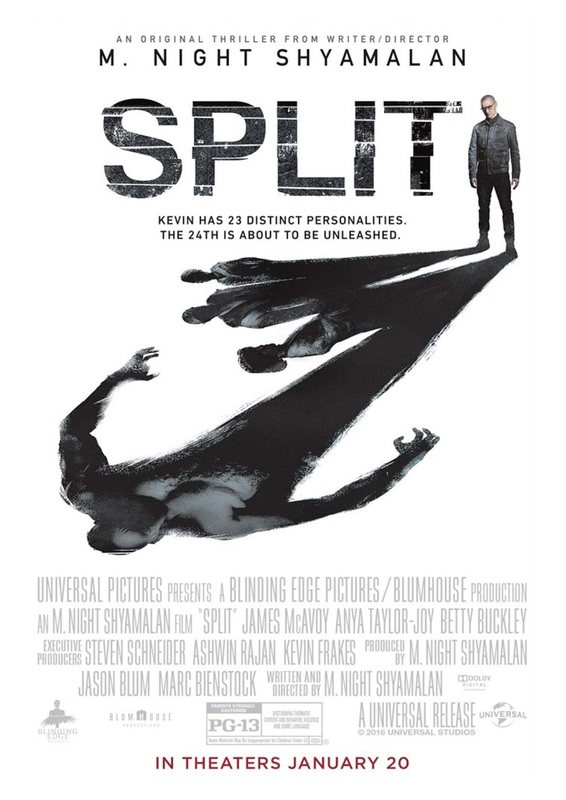 The film is centred on Kevin, who has evidenced 23 personalities, but there remains one still submerged who is set to materialise and dominate all the others. Compelled to abduct three teenage girls led by the wilful, observant Casey, Kevin reaches a war for survival among all of those contained within him - as well as everyone around him - as the walls between his compartments shatter apart. Shyamalan conceived of the idea for Split years, even far back to before The Sixth Sense, before he actually wrote the screenplay, which kept untouched until recently. Having found the perfect time, Shyamalan finally decided to breathe new life into it when started to work on the script. Shyamalan then decided to re-team with producer Jason Blum, who produced Shyamalan's previous film The Visit (2015), and presented the script to Blum. Originally, Joaquin Phoenix was cast in the lead role. However, due to scheduling conflicts and not being able to reach a contractual agreement, James McAvoy was cast instead in October 2015. In the same month, Anya Taylor-Joy, Betty Buckley, Jessica Sula, and Haley Lu Richardson were added to the cast. In addition, Universal Pictures came on board to release the film and the film's title, Split, was announced. Principal photography on the film began in November 2015 in Shyamalan's hometown of Philadelphia, Pennsylvania. The film stars James McAvoy, Anya Taylor-Joy, Betty Buckley, Haley Lu Richardson and Jessica Sula. The cast gave terrific performances, especially to McAvoy. He gave a complex, layered and varied tour de force performance to the multiple personalities that he was able to so brilliantly conjure up. Split is the one we've been waiting for, folks. It's good. Oh my word, is it good. But more importantly, it is excellent in that specific way that reminds us why M. Night Shyamalan was once such a marvel. It is richly humanistic, filled with such varied and individually sketched characters that often sparkle with surprises. The film provides Shyamalan fans with a satisfying blend of thrills and laughs – and also signals a true welcome return to form for writer-director M. Night Shyamalan. With somewhat questionable elements at times, the film is not as a good as The Sixth Sense. However, it is a quietly suspenseful film that intrigues and engages, taking the audience through unpredictable twists and turns along the way. Just as he did in The Sixth Sense, Shyamalan leads you into a fascinating labyrinth, an alternative universe that lurks right under our noses. In this case, it's the mythological world and, in these modern times, the secret design to that labyrinth, the key to the path, is contained in the depths of the human mind. Shyamalan is back on top, with a stripped-down story and scale, a largely superb cast and one of those classically tinged tales of psychological terror that have reliably spooked audiences for generations. Also, see my review for The Visit.